The beloved owners of Foodie Cart have a new culinary endeavor inside Mikey’s Late Night Slice in the Short North: an authentic takoyaki house. Savory little ball-shaped dumplings filled with goodies like octopus, Japanese pork sausage or cabbage, are made fresh when you walk up and order. The round little pancakes (which remind me a lot of Ebleskivers) were made with a dashi-based batter. Umami at it’s finest. The pretty bite-sized morsels were served in little boats dressed with mayonnaise, seaweed powder and katsuobushi (bonito shavings). 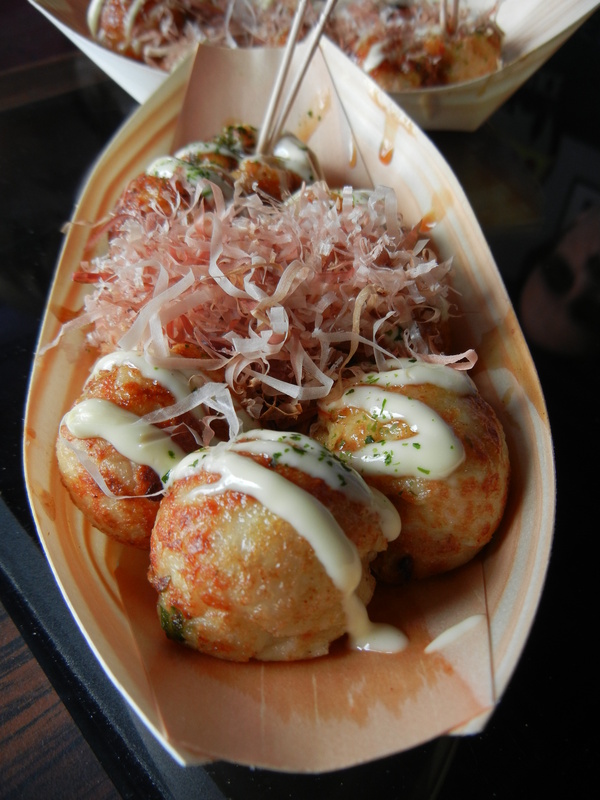 The katsuobushi was the best part for Cherub because they curled and waved in the air like little tentacles, as they warmed on the hot takoyaki, sending her into a fit of giggles. Bonus points for the wonderful theater of these delicious additions to the street food scene here in Columbus. Additional toppings include sriracha, pickled plum, kimchi, and a yuzu ponzo dip. All worth a try, since Misako really knows her flavor profiles. We three gobbled up orders of the octopus and sausage in a matter of minutes as we watched the line fill up once again with hungry, loyal fans. I certainly can’t blame them. Oh man I totally forgot about this today! I hope I can grab a bite soon. They’re super. And a wonderful treat for hard working interns! You are great at this. Remember that. I just love you, KateyKate. Oh my goodness…. 🙂 Yum! Sounds like a great evening, complete with katsuobushi odori (dancing)!! 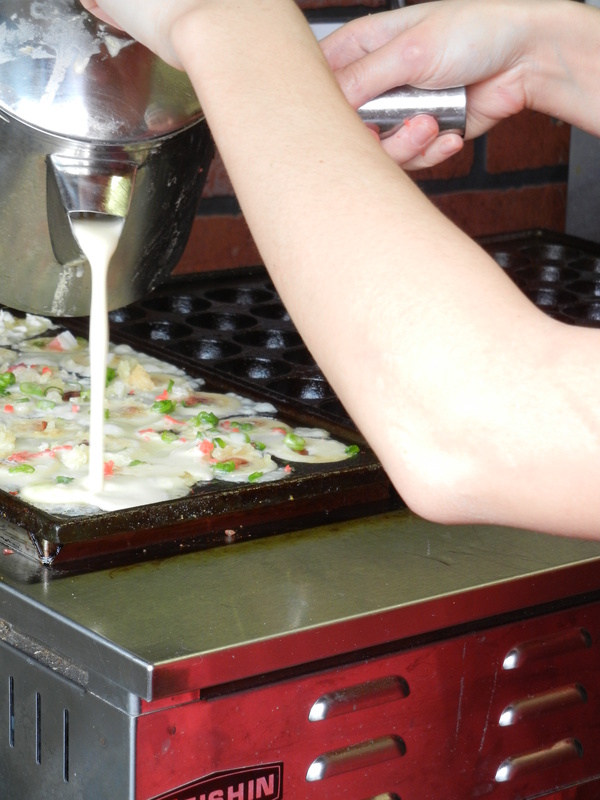 A winter evening would sometimes bring OKONOMIYAKI onto our dinner table, while summer festivals called for TAKOYAKI. Makes me want to bring it onto our family’s menu for an evening soon. Loved your review. I love your comments! Thank you for sharing!